We ask that all Pope John Paul II Award participants are prayed for at all Masses on Sunday, 2nd and Wednesday, 5th April, to wish them well for their trip to Knock and to thank them for all the work they do in our parishes and communities. The Pope John Paul II Award was created in 2006 to commemorate Pope John Paul II who was so committed to young people and who had such belief and confidence in them. 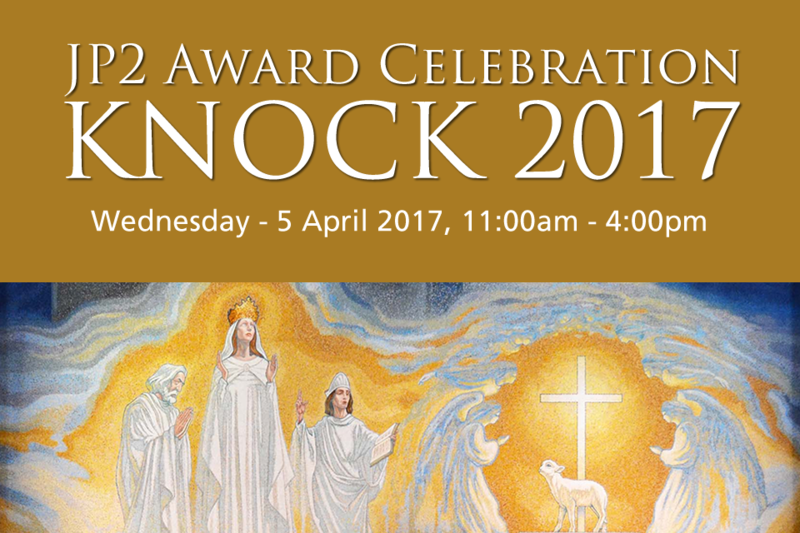 On Wednesday, 5th April 2017 the Pope John Paul II Award will host a special celebration day at Knock Shrine, Co. Mayo to mark 10 years of the Award and the countless achievements of more than 20,000 participants from 24 dioceses across Ireland and Britain. All Pope John Paul II Award participants, past and present, are invited to take part in this special celebration, along with their Parish Leaders and Award Leaders. To allow him to focus our search and our aspirations and all our ideas and the desires of our heart. Help us Father, to do this so that all the actions and decisions of our lives are done with Jesus who is our Saviour and friend for ever and ever. Our Lady of Knock pray for us and for the young people in Ireland. Priest: In this season of Lent we open our hearts to God who is one who can unbind us and set us free. that they will stay close to Jesus and lead us ever more deeply into the tenderness and compassion of God. that they will work, not for their own gain and power, but for the weakest and most vulnerable in our society. that they will continue to serve God in the Church and in their community by living the Gospel faithfully. that we will truly believe that Jesus is the resurrection and the life and that we will live our lives focusing on the gift of eternal life with God. that they will find hope and joy in a close relationship with Jesus. that they are now in the company of Mary, Saint Pope John Paul II and all the saints in the presence of God for ever. Priest: Loving God, we thank you for the gift of our faith. We thank you for the gift of the Pope John Paul II Award. Help us to remain faithful to you as active members of our Church community living out the Eucharist by the way we treat one another. We make this prayer through Christ our Lord. Amen. Full details of the event can be found here.